Ulpatek offers filters, equipments, and systems solutions for many industries, including pharmaceutical factories, hospitals, food production facilities, commercial buildings and power plants. From oil mist eliminators and dust collectors to gas adsorption filters for corrosive gases and complete process filtration systems, our solutions in this segment are designed around the exact needs of modern manufacturing and industrial processes – ensuring the protection of human health, the environment and equipment. While our filters and systems increase the quality of the products in the process, also protecting the health of people and other living things, the environment and the equipment. Odors are mainly source by the industrial fields such as biogas, wastewater treatment facilities. Toxic gas cleaning units are generally used for the filtration of dichlor (Cl2), sulfur dioxide (SO2) or ammonia (NH3) gases. To control the gas phase pollutants, the pollutants and their effects must be known. ULPATEK has a wide range of media options that can perform highly efficient filtration according to the target pollutant and its effect. Other important industrial applications are textile waste transport and textile air conditioning systems. In all processes from cotton to fabric, a suitable conditioning system and the filtering equipment should be used. Both yarn production and, in the case of weaving processes, production sites are generally designed according to their relative humidity values. ULPATEK provides low-cost, high-performance work space for customers in the right conditions with its filters and system equipment. It is the preferred filter model especially for odor and corrosion control in industrial and commercial applications. 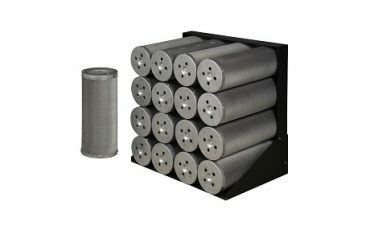 In air handling units, such as filter cabinets, they usually work with filters used in particle filtering. 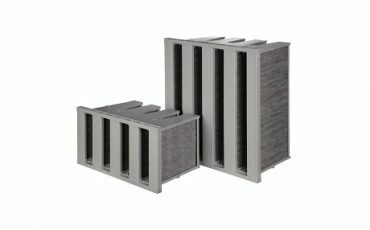 Activated Carbon V-Compact filters are the preferred filter model for odor filtering applications especially in commercial buildings with carbon-impregnated raw material which have a high filtration area and low starting pressure and low energy consumption advantage.